Handbags To Change Bags: Love Christmas Giveaway! I think my kids would love the 63cm Standing Reindeer Decoration! Love the singing Christmas tree. some stockings - they're lovely! I love the garland, but as i live in a flat & don't have stairs Id use it on my mantelpiece! I like the snowflake fairy lights. The singing Christmas tree and some decorations. I would love the snowflake christmas lights - so pretty! I'd be tempted to get the singing, dancing reindeer, because none of our current decorations are very child friendly and I think we need to change that! I would get the snowflake shaped lights. I like the Sitting Reindeer Decoration. 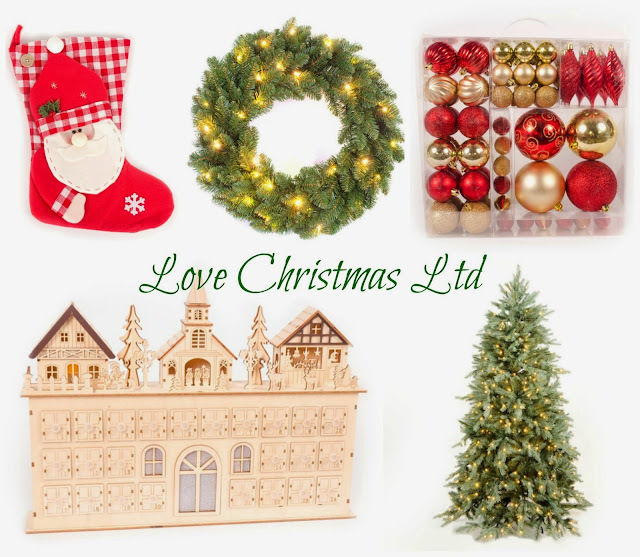 There are so many pretty things but I would love https://www.lovechristmasltd.com/product/short-metal-angel to top our tree off. Ours is dropping to pieces.